Be kind and helpful to one another, tender-hearted [compassionate, understanding], forgiving one another [readily and freely], just as God in Christ also forgave you,~Ephesians 4:32 (Amp). Miracle: a wonderful or unusual event that is believed to be caused by the power of God. An extraordinary event involving divine intervention. Adaptation from online Webster Dictionary. One of the greatest miracles is salvation. The birth of Jesus is an extraordinary event that involved divine intervention. God provided a way for all of humanity to come to know Him. The life of Jesus is filled with miracles. Scripture tells us He was moved with compassion (sympathetic consciousness of others pain coupled with a desire to alleviate it). Fueled by love and compassion Jesus brought divine intervention into the lives of many. As followers of Jesus He encourages us to do as we see Him doing. He tells to freely give as we have freely received. 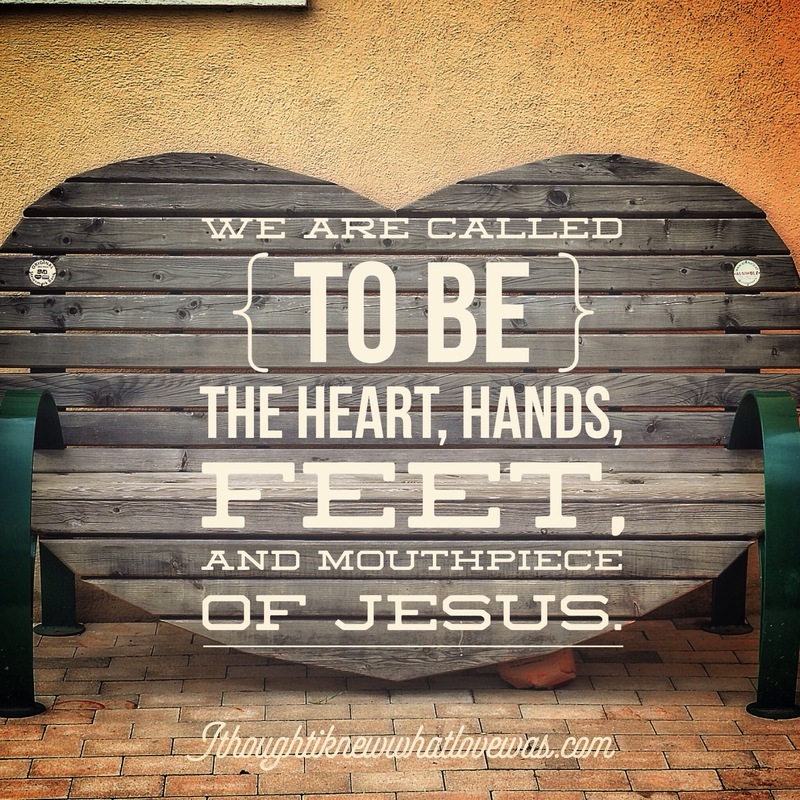 We are to be the heart, hands, feet, and mouthpiece of Jesus in the world. Here are some Scriptures to confirm those words. I am giving you a new commandment, that you love one another. Just as I have loved you, so you too are to love one another. By this everyone will know that you are My disciples, if you have love and unselfish concern for one another,~Jesus (John 13:34-35). I find it interesting that Jesus did not say, “The world will know My disciples by their Bible knowledge or activities or church attendance.” He said the world would know His disciples by their love (agape) and unselfish love for one another. I’ve caught quite a bit a slack over the years for talking so much about the love of God. I’ve been told to talk about the severity, wrath, God’s anger over sin. Will God judge the world for their sins? Yes. Does God hate sin and evil? Yes. Is God weak? No. Does God conform to our culture and sinful desires? No. Is Godly sorrow and repentance required for salvation? Yes. My stance is what the Bible says. “God is love (agape). Those who do not love (agape) do not know God,”~1 John 4:8. I’ve found my role is to present the truth to people in love. It’s the Holy Spirit’s job to convict hearts. It’s God’s job to issue out any eternal consequences for the unrepentant. He told me to love people. Even my enemies. What does love look like? Love looks like Jesus. It requires the supernatural work of God through us to love the unlovely. It’s a miracle (extraordinary, amazing, divine work of God) to consistently love like Jesus. …if your enemy is hungry; feed him. If he’s thirsty give him a drink,~Romans 12:20 (Amp). Heal the sick, raise the dead, cleanse the lepers, cast out demons. Freely you have received, freely give,~Matthew 20:8 (Amp). We are also encouraged to care for the poor (Proverbs 29:7). Some simply associate miracles with only healing; there are many acts of miracles that are provisional. Theses are two stories from this past holiday weekend. I went to visit my dad and it often involves some ministry time. God brought healing to her back (decreased her pain) the Walmart bathroom. She exclaimed, “I guess prayer does work!” Always amazed how the unchurched believe more in healing than some Christians. Also thankful for the visit with the sick, mentally ill, and spiritually oppressed yesterday. One man the nurse told me was quite hostile and aggravated. He’s known to be combative and have fits of rage. He wouldn’t let the first person pray with him. Yet he let me. I stood in awe while the Holy Spirit moved the heart of this moments earlier angry man to tears. He raised his hands at one point and cried out, “God with You nothing is impossible!” He let me hug him and he laughed with me. He stated, “Today is going to be a good day and next year a good year! !” He smiled his first smile of the day. It was a great afternoon of loving on people and watching God do what He does; love, heal, and deliver. Now the eleven disciples went to Galilee, to the mountain which Jesus had designated. And when they saw Him, they worshiped Him; but some doubted [that it was really He]. Jesus came up and said to them, “All authority (all power of absolute rule) in heaven and on earth has been given to Me. Go therefore and make disciples of all the nations [help the people to learn of Me, believe in Me, and obey My words], baptizing them in the name of the Father and of the Son and of the Holy Spirit, teaching them to observe everything that I have commanded you; and lo, I am with you always [remaining with you perpetually—regardless of circumstance, and on every occasion], even to the end of the age.”~Matthew 20:16-20. We are told to go. We are told to make disciples of Jesus. We are told to teach others what Jesus is teaching us. How will the world know if no one goes? How will the sick be healed if no one prays? How will the spiritually oppressed find liberty if no one is willing to go to the nursing homes and mental hospitals to pray? If all the saved people are blessing and loving saved people, who is attending to the lost? Some people can’t come to our worship gatherings. Someone has to go for them. One of my greatest loves is street ministry. I’ve seen the love of God in high capacity on the streets with the hurting, broken, dying, addicted, and diseased. We are called to demonstrate to the world what God is like. We are representatives of the heart, hands, feet, and mouth of Jesus. Everyone gets to participate. It’s not simply for pastors. Every follower of Jesus is called to freely receive and freely give. I’ve gone through many situations where God brought the miracle without another human being. I know this is possible. He also loves to colabor with us. He gave His Spirit who empowers us to love, to serve, to go, to teach. Father I thank You for all You have done for us. Help us to abide in Your love and power. May our hearts overflow with tremendous compassion for humanity. May the world see Christ in us, the hope of glory! Happy upcoming New Year! You are so deeply loved and prayed for.